We are in the midst of another holiday which means we now have another reason to bake! (I swear I come up with reasons to bake all year long… Even if there aren’t any Holidays drawing near, I’ll make something up!) I already have making green pancakes set aside for St. Patty’s Day Eve breakfast, but I really wanted to make a festive treat as well before then. I was also really craving brownies because I haven’t had them in a long time. 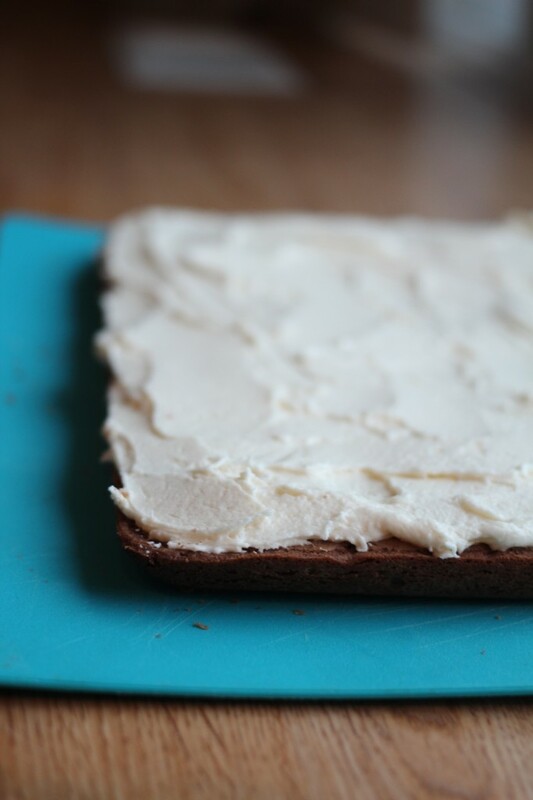 I ended up making basic brownies from scratch and I topped them with white chocolate butter cream frosting. The frosting comes from my absolute favorite brownie recipe ever, red velvet brownies with white chocolate butter cream frosting. The recipe can be found here. 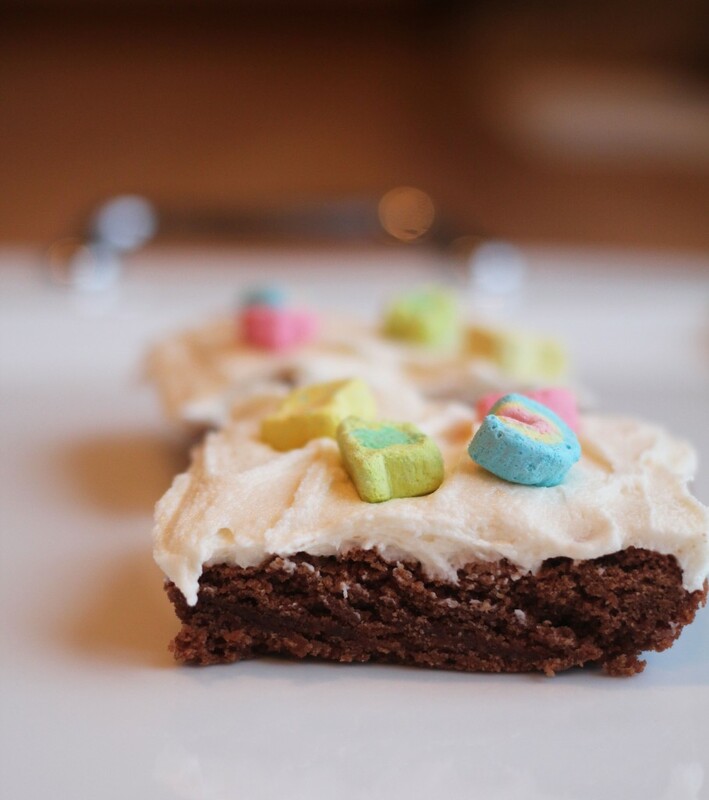 (And, yes, they are every bit as good as they look…) To make my brownies festive, I sprinkled Lucky Charms marshmallows over the top. 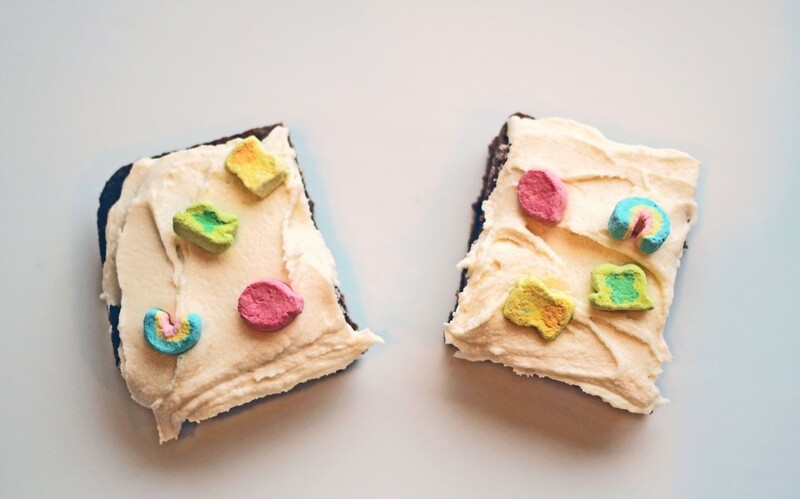 Side tip: for the frosting, if you don’t have heavy whipping cream on hand, just use milk! I did, and it worked fine. Simple and festive. And most importantly, delicious. Happy Thursday!